I still need to do the edging on both my Cozy Stripe Blanket and my Harlequin Shawl, so naturally I started another crochet project. 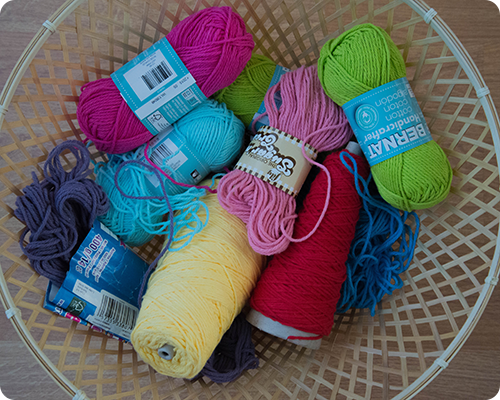 I gathered all my cotton yarn together in a basket, got myself comfortable and warm on the couch, and started making some simple, colorful granny squares. My plan is to make as many squares as I can - with colorful centers and the third round in white - and then seam them all together into a blanket for our master bedroom. Sounds perfect, doesn't it? This is going to be my long-term, portable, not-too-intense project, one that I can work on while watching TV, answering random questions from the girls, watching swim lessons, waiting for dinner to cook...I'm sure you know what I mean. Plus it will put a considerable dent in my yarn stash, which is always a good thing. This project is making me very happy already, colorful squares certainly have that effect. Oh, and did you notice I have sewn in my ends already? Looks like someone has learned her lesson. I'm joining in the Winter Project Link Party at Thistlebear. That will be gorgeous when it is done!!! I think so, thanks Leslie. Fabulous colours, going to be amazing! Thanks Jane. The colors are really nice to work with, especially on these grey winter days. Those colors are so bright and cheerful. It's going to look so pretty. I am still making my granny squares. I too have learned my lesson to sew in the ends as I go. I have to be so disciplined to sew in my ends as I go as I am always excited to get started on the next square; but it is worth it, because a while heap of ends at one time is no fun at all. I love that last photo. Great composition!! Oh I am with you...I have vowed not to start anymore projects until I have finished the ones I have on-the-go. It is hard to do, because starting something new is so exciting, isn't it? Such a great project, love the beautiful colours of yarn. 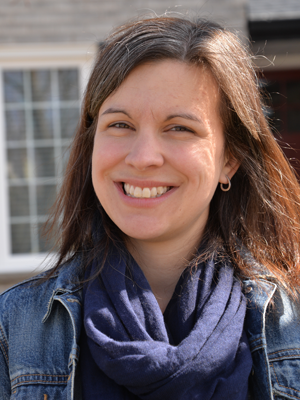 Hi Rachel, thanks for linking up! I love to make granny squares and I'm pretty sure that's what my next blanket will be. I haven't made very many lately and I miss them. I love the bright colors of yours. Thank you Jennifer...granny squares, especially colorful ones, will always be my favorite. 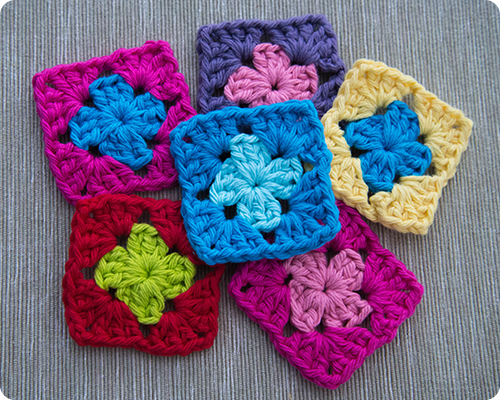 Hi Rachel, lovely to have found your blog...Granny squares are fab, aren't they! I love the colours you're using. Welcome Alison, I am glad that you are here. 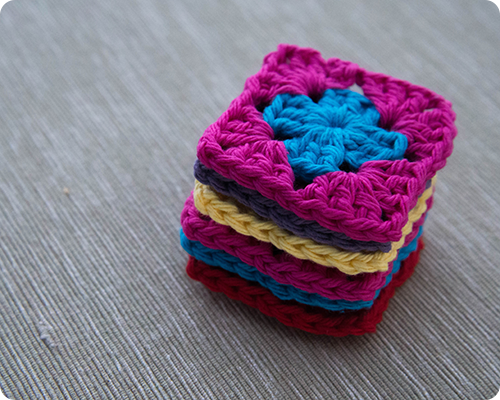 I do love making granny squares...and the brighter the colors the better.